The engawa, in Japanese, means “in between space”. 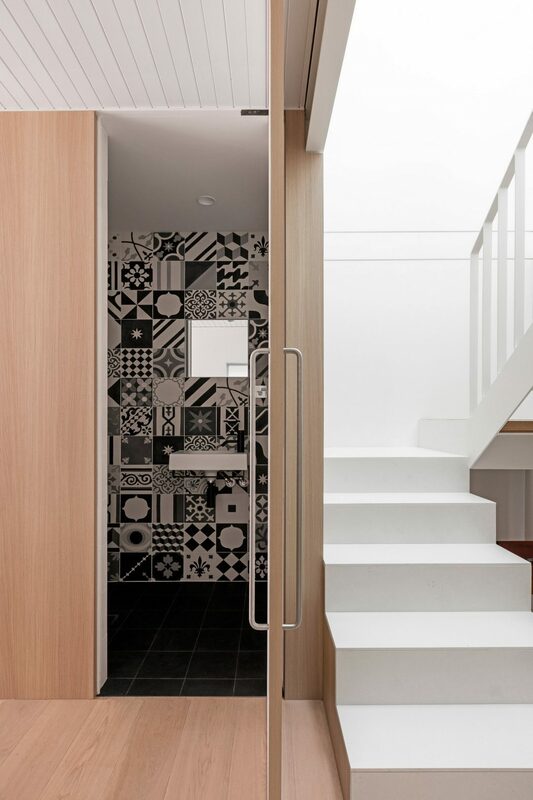 Being an essential component of a traditional Japanese house, it is presented as a strip of flooring enveloping the house, whose function is to harmonize the inhabitants with the natural world. 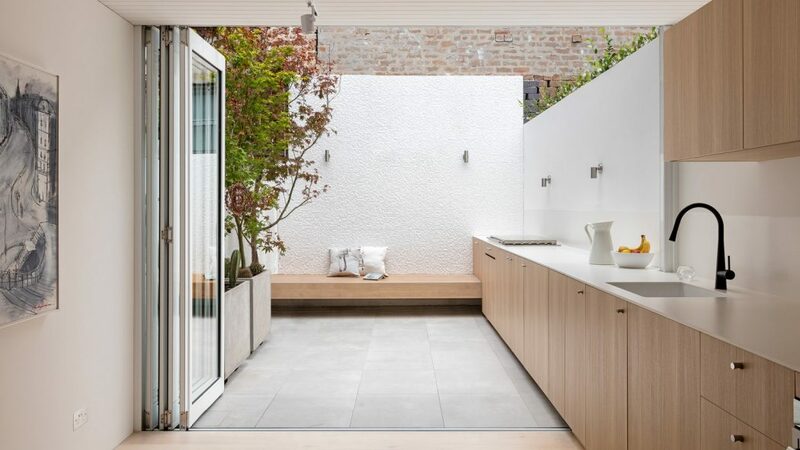 Since it is neither inside nor entirely outside, it becomes an in-between space, that blurs the distinct boundary between the physical, material world of the house – and the natural, ever-changing outside. 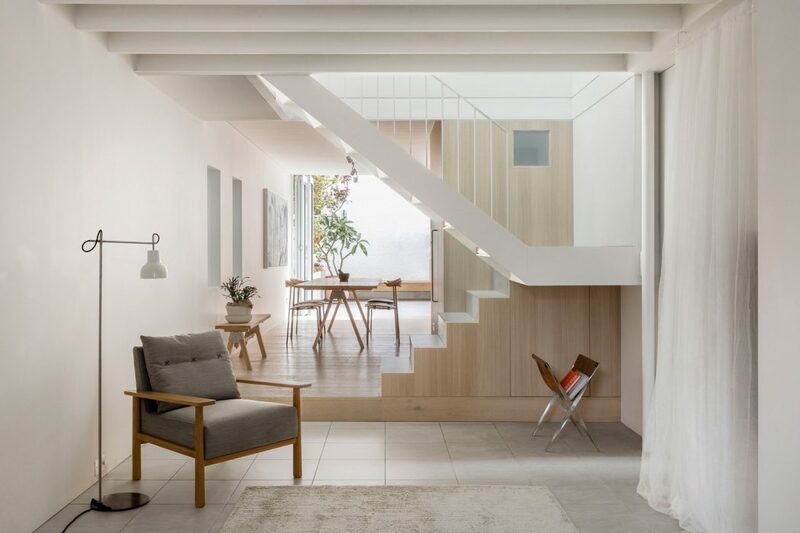 This philosophical principle of the in-between space has been re-visited by the famous Australian design studio Benn+Penna, who have recently finished their renovation project of the Surry Hills House. 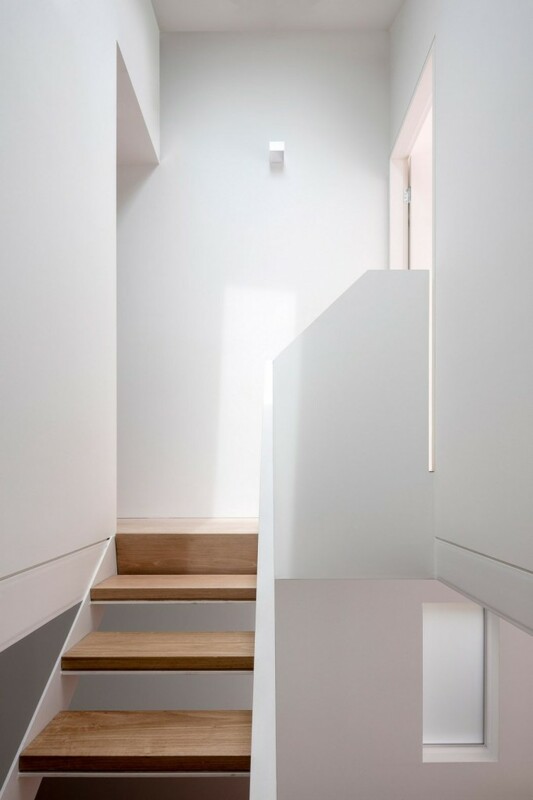 Specialized in residential renovation, the authors did one unexpected and brilliant twist: they removed the whole back wall of the house. This brought a lot of additional sunlight into the house and gave them space for experimentation. That is where the “engawa” kitchen was born. A form that freely trespasses between the interior and the courtyard space. 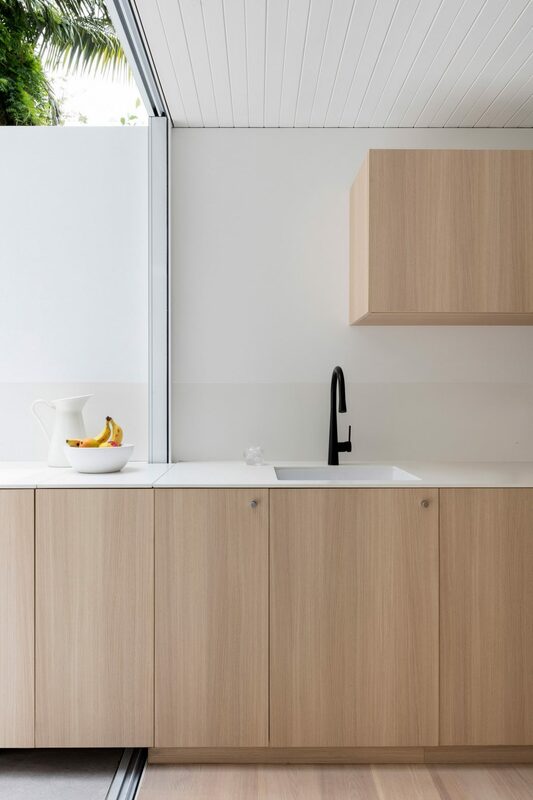 By building the kitchen space as one continuous, minimal line, the connection with nature is reinforced. 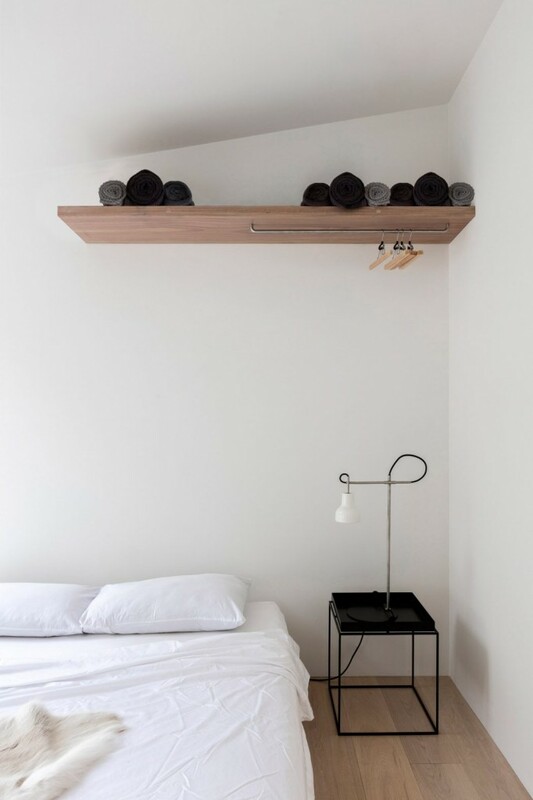 The unique typology is not only used as a physical medium, the in-between space, it also transforms with the seasons, changing its use according to weather conditions. 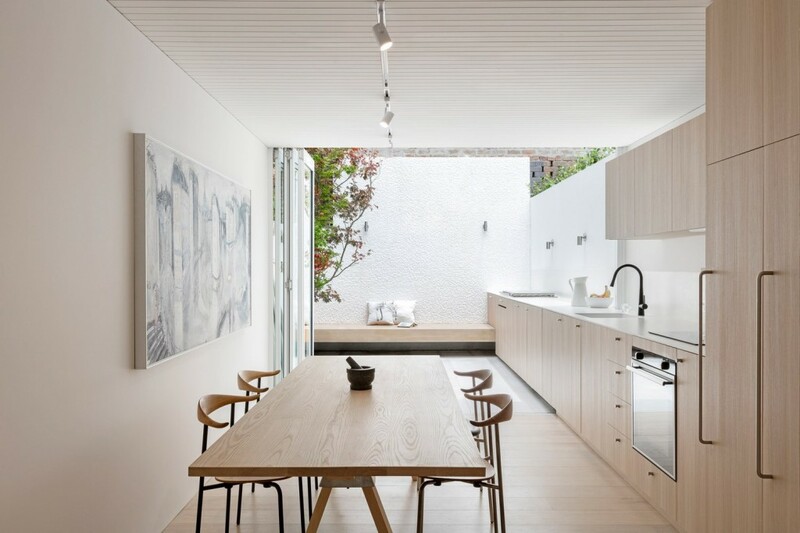 Beautiful, clear lines used on the inside, neat finishings and minimal furniture all result in a contemporary and calm dwelling, being one with the natural rhythms.